Installing a central vacuum system in a new or pre-existing home is an easy process in most cases that can be completed in one or two days. Adding a central cleaning system to a residence not only makes cleaning more efficient and convenient, but also adds value to the home that is often 2 – 4 times the initial cost of equipment. Central cleaning is the choice for those who want more power, better filtration and the reliability of a built-in appliance that can not be found in a portable upright or canister vacuum. WHICH CENTRAL VACUUM IS THE BEST? This is it! 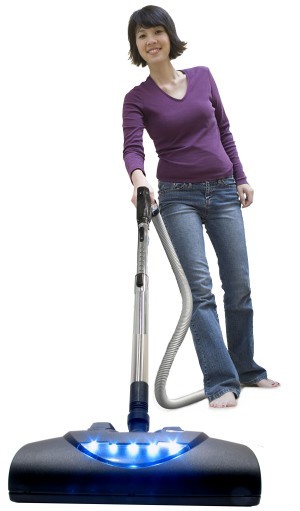 You have found the article that holds the keys to discovering Which Central Vacuum Is Best. We will not waste your time with a Top 10 Central Vacuum Systems which we want to sell, there are plenty of those on the internet and they do little good. 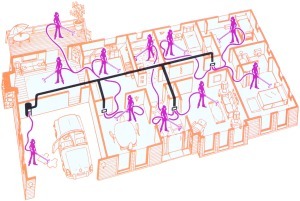 This is a central vacuum buyers guide to-do list. We will review central vacuum system design and components from a professionals perspective to help you find the best, so get your pen handy or bookmark this page. This insightful and straightforward advice is available free for the reading and will be helpful on your Best Central Vacuum search. Which central vacuum is best? It is the single most asked question at Aspria Systems, and for good reason. If you browse the web you will find dozens of products that claim to be the best and many nonsensical central vacuum ratings which claim to offer an easy answer. The true question is not which is best, but what makes a central vacuum “the best”? If you are installing your own new vacuum system or replacing an old unit you have a clear advantage over most central vacuum users: you have the power to choose your own equipment. Most systems are chosen and preinstalled by the builder whom may have selected the lowest cost expensive bid. In a search for the best you can often dismiss Builders Grade class of CVAC equipment. There was also a time when your geography dictated your selection of central vacuum equipment. Thanks to the internet you have a nearly unlimited selection. A larger selection probably does not seem helpful if you are trying to find just one good one. We will endeavor to trim the field and make your selection easier here. LOW-VOLT, DIRECT-CONNECT, SUPER VALVES – OH MY! Many things have changed in the preceding 60 years of Central Vacuum history, including many changes to the Central Vacuum hose and inlet valves that have made for more convenient and reliable cleaning systems. While in the early days central vacuum hoses were nothing more than an elongated version o f the portable vacuum’s hose, the modern day CV hose assembly is designed for the unique task of central cleaning. 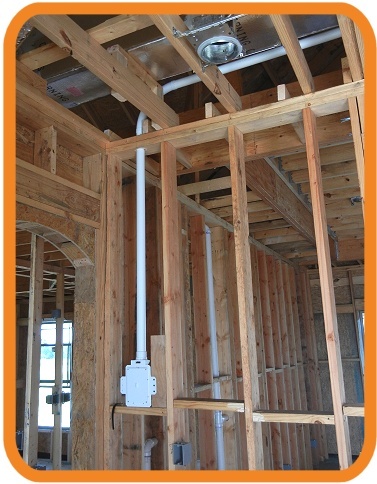 Inlet valves too have progressed from dumb wall plates to automatic connections with integrated wiring and leak proof doors. It was perhaps the addition of an electric power brush that moved central vacuum systems to the mainstream, but without advances in the CV hose, the power brushed central vacuum system would not have been possible. To know our hoses better, it is necessary to understand the central vacuum inlet wall valve. There are two basic styles of wall valve available now for CV systems with two major brands in the market place, Vaculine & Hayden. Vaculine and Hayden are the largest brands of CVS inlets sold in the world. Aspria Systems offers both the Vaculine and Hayden brand inlets in many colors and most every style available.